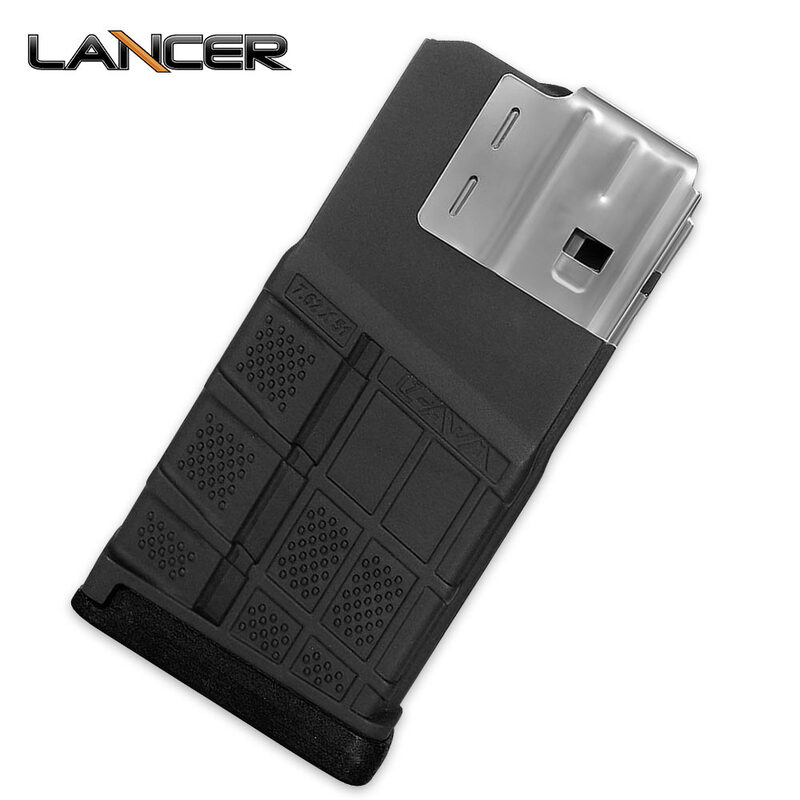 L-7 Advanced Warfighter 20-Round Mag - Opaque Black | BUDK.com - Knives & Swords At The Lowest Prices! The toughest and most reliable .308 polymer magazine on the market, the L-7 Advanced Warfighter 20-Round Mag is lightweight with steel feed lips that wrap completely around the magazine to maximize stiffness and reliability while preventing dimpling to the front of the magazine. A switchable drain lock in the floor plate comes standard on all L7s, allowing users to configure the magazine for either water-borne or extreme dust conditions. The opaque black magazine has an impact resistant polymer body with an aggressive texture to improve gripping and retrieval from pouches. It was designed, tooled, manufactured and assembled in the U.S.A.